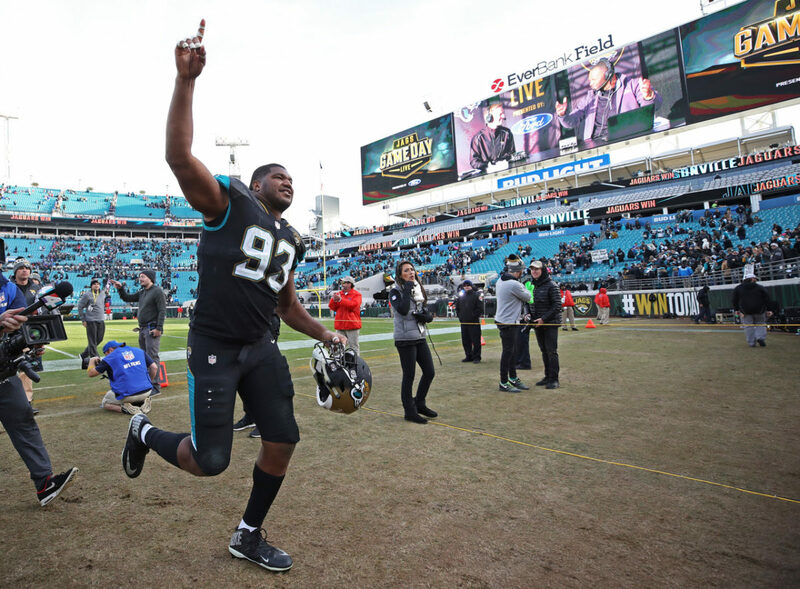 Calais Campbell has served as Jacksonville’s defensive catalyst this season, his first with the franchise. But who knew he could see the future? Campbell chatted with NFL Network’s Tom Pelissero about the tilt between the Jaguars and Steelers last week after Jacksonville’s 10-3 win over the Buffalo Bills. What you’re about to read might blow your mind. Campbell joined the Jaguars via free agency in 2017 after spending the previous nine seasons with Arizona. He nailed Sunday’s final score — 45-42 — in a Divisional Round win over Pittsburgh, albeit with a little help from a garbage-time Steelers touchdown. That makes Jacksonville 2-0 in the postseason and Campbell 1-0 in predictions. We’ll see how that plays out next week when the Jaguars travel to New England to face the reigning champion Patriots in Foxborough. A lot of it will have to do with the health of running back Leonard Fournette, who didn’t look like the same runner after suffering an ankle injury, each team’s gameplanning approach and the performance of New England’s interior line against a menacing Jaguars front four. We’ll get a whole week to break it down to the nanometer. Perhaps someone else can take the fortune-telling crown from Campbell, too.